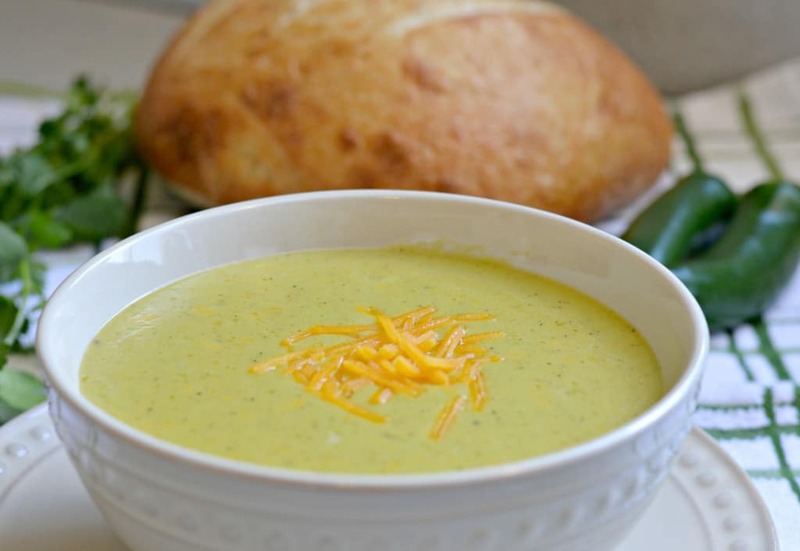 Today I am going to share this recipe for a delicious Cheddar and Jalapeno soup. Spicy you ask? No. Creamy and delicious? Definitely! This is a recipe that you are not going to want to miss – even my kids loved it! The first time that I tried this soup was in a restaurant called Kneaders when we were living in Utah. It was one of our favorite restaurants primarily because this soup was on the menu. When we moved, I was sad because they didn’t have that restaurant in the new city we were moving to, so I didn’t get to have it again for awhile. Where we live now they have it, so I was able to try it again after a long time. Since I don’t like to go out to eat all the time, I came up with this copycat version and I have to share it with all of you! It is delicious, creamy and full of flavor. 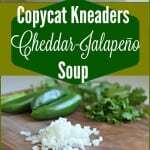 The main ingredient is jalapeno, which for me is always a good start! 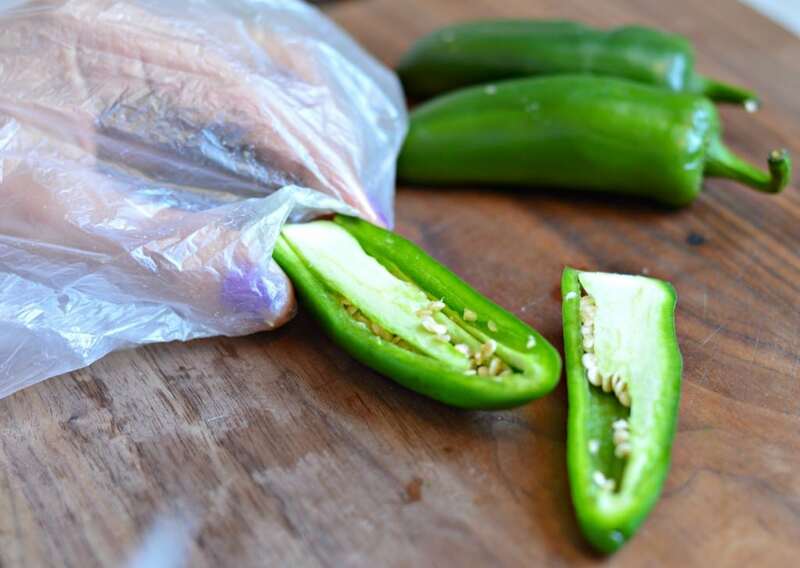 Believe it or not, this recipe is not spicy at all, but you should put some plastic gloves or a plastic bag over your hands when you are cutting them up to keep your hands from burning later. Trust me, I learned this trick the hard way and there have been many times when I have forgotten and regretted it later! All of that isn’t supposed to scare you – this is an easy recipe and that is the only complicated part. A few days ago I went out with some girlfriends and we were able to have a good time talking, laughing and enjoying his soup – and it was great. 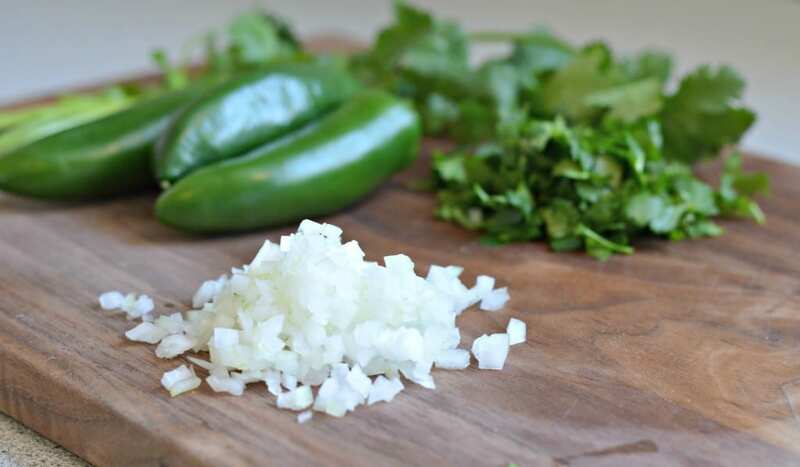 After cutting the jalapenos, you can combine it with the rest of the ingredients in a food processor if you want a thicker consistency, or in a blender if you want a more creamy and smooth consistency. 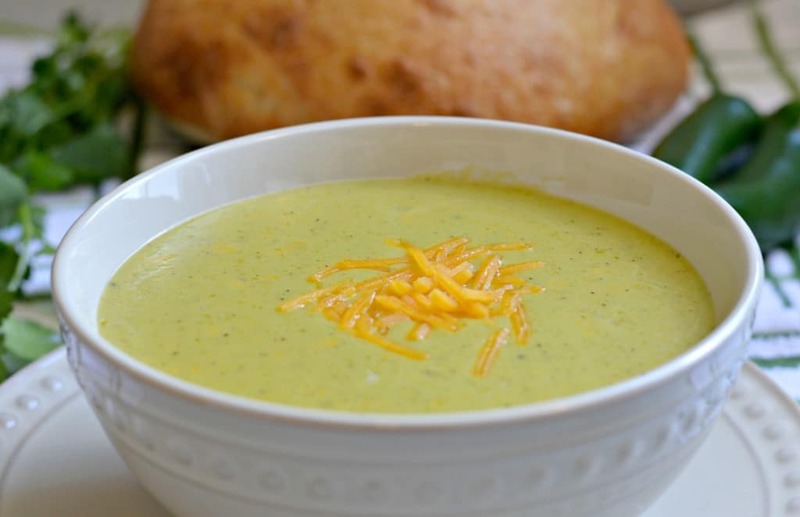 This soup is definitely a good one to serve as either an appetizer or the main dish, and it goes especially well with freshly baked bread on a cold afternoon. It doesn’t matter how you enjoy it, I am sure that you will love it! Don’t forget to tell me in the comments how it turned out! 3 Jalapenos de-seeded and chopped up. De-seed the jalapenos and chop into smaller pieces. 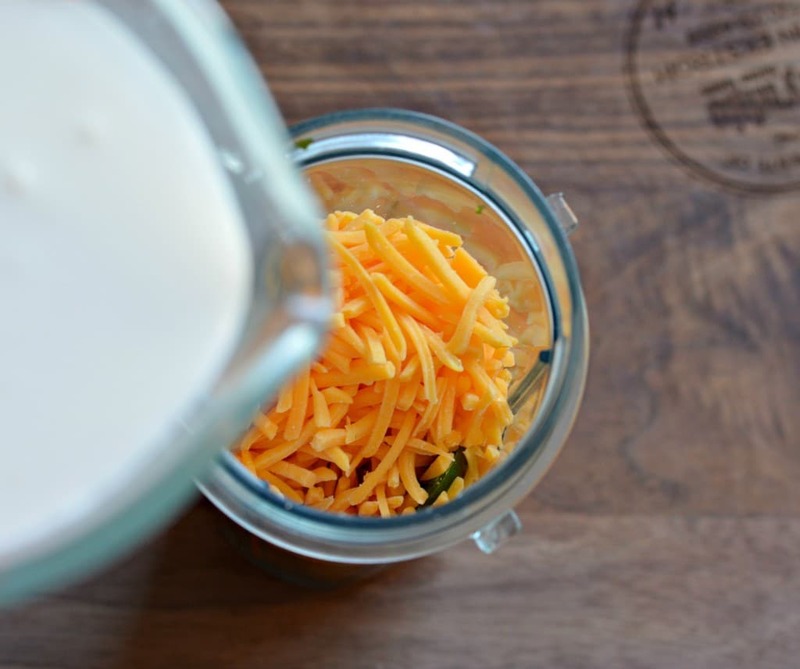 Add the jalapenos, the cilantro, the cheddar cheese, and the chicken broth to a blender and blend until smooth. In a saucepan, add a small amount of olive oil, and when hot add 1 tablespoon of butter and saute the onions until translucent. Add the jalapeno mixture to the saucepan and let boil for 2 minutes. Add the whipping cream and let boil for 5 more minutes. Add the flour and whisk quickly to avoid lumps until it is the desired consistency. Serve immediately with freshly baked bread. Sounds delish! I would suggest adding the flour after sauteing the onions. Otherwise it will clump. Or mix it with some of the cold cream.